You guys voted for this post on Facebook. Good choice! To everyone who voted for the second option, “Writing ‘Rules’ You can Definitely Break,” don’t worry – it’s still on my list. Taking breaks from your writing is, in so many ways, highly beneficial to your health, motivation, and – believe it or not – your productivity! 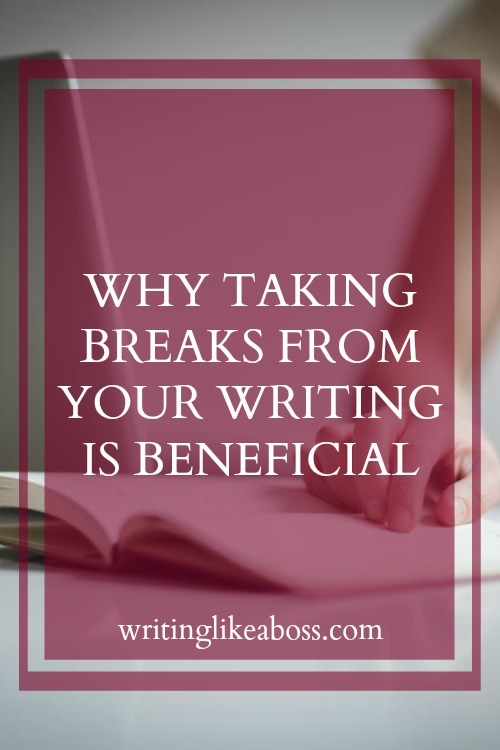 Today, I’m going to share my success in taking breaks and how it helped me write a better novel, as well as why you need to step away from the writing every once in a while. Are you as excited as I am? Because, you guys, I love this topic. Let’s get to it! I fell into writer’s block many times in 2017. From April to October, I had dedicated my time to rewriting the first draft of The Girl Who Frosts the Cakes. Six months isn’t a long time to write 83,000 words, especially for someone who went out of town every three/four weeks all summer, so you had better believe I was working hard. Naturally, I burnt out. I didn’t know it at the time, but those bursts of writer’s block turned out to be blessings in disguise. Unable to put so much as a complete sentence on the page, I forced myself to stop and take my first official break in June, a week my brother – with whom I do everything – was out of town. Without him and my writing, I realized I didn’t do anything else at the time. I had no friends in this city, so for the first few days, I was just there. Then I prayed a little and figured myself out. I stopped stressing about those few chapters I struggled to write (I still struggle to edit them today!) and became engrossed in other activities. Mainly, I spent much-needed time with my other siblings, which was shockingly beneficial to us all. *By the way – I was not supposed to take photos in that district. I somehow overlooked all the “NO PHOTOGRAPHY” signs, so now I have an album of illegal photos on my laptop. Hopefully the local police don’t follow my blog. Trying so many new things got my inspiration flowing again (which we’ll talk about later), so I sat back at my laptop again. Once my break was officially over, I worried I would open my Word doc and take a nice, familiar cruise down Writer’s Block Lane. I still remember my amazement, and relief, when those sticky chapters wrote themselves. Before I knew it, I was back to writing the scenes in my story I loved most, and my productivity soared for several months (with the exception of mandatory breaks, of course!). It’s important to find activities outside of writing. Taking breaks can help meet your social needs, introvert or otherwise, and allow you to spend time with loved ones. It’s important to stay active and productive during a writing break; in essence, if you scroll through your Pinterest feed all day, you’ll grow lethargic. Trying new things will give you fresh ideas, and should get you itching to write again. Maybe my wording, “trying new things,” daunts you a little. When I read it, I think of traveling to Europe, chopping your hair, buying a bird, learning a new language. While all of those things are amazing, and they would definitely get you out of a writing rut, it’s okay to think smaller! Sometimes it’s as simple as painting your nails, drinking your coffee with cream (or without; whichever isn’t your norm), or listening to a new genre of music. All of those things can be done in the comfort of your own home, which is lovely! But, and this is an introvert speaking, I seriously suggest you leave your house. Here is a list of simple, nonthreatening things you can do outside the house to get your inspiration flowing. All of these are things I have tried myself, and have worked. 100% satisfaction, guaranteed. Walk around the park, along the riverside, wherever there’s sunshine. Get coffee with a friend. Some of the best friendships start in coffee shops; that much I know. Buy a new outfit. Never don’t buy a comfy pair of jeans. Start reading a book that reminds you of your current project. Write something separate from your project. USE SPARINGLY. This is supposed to be a break, so don’t let writing continue to dominate your time. On the flip-side, it can be helpful to test writing something in another style or tense or a while! Walk a mile or two. Listen to music as you walk. Enjoy the sunshine and the rain in turn. Reread a childhood favorite book. Go to an amusement park. Ride a rollercoaster, eat cotton candy and hot dogs while you’re there. Take a road trip without a destination. Host a party. Invite people you want to know better. Take a class on a subject that interests you. Change your hair. Just don’t bleach it. Trust me on this one. Change your scenery for a week – drive to the mountains, or fly to the beach. Travel to a new country, if you’re feeling crazy. Now, let’s flip it: here are some things you shouldn’t do while on your break. Don’t browse social media. Pinterest and Twitter are fun sometimes, I’ll admit – but unless you’re researching more productive things to do, I don’t recommend it. Don’t lounge, watch TV, lie in bed … you get what I’m saying here. Don’t neglect your much-needed relaxation, but don’t overfeed it, either. Don’t think about your writing too much. 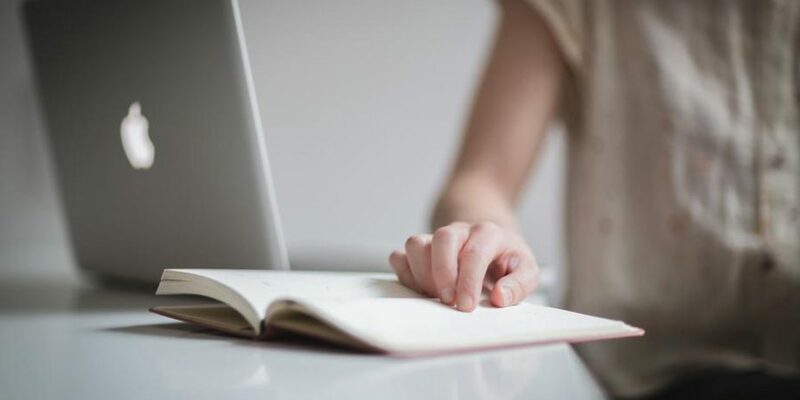 It’s okay to brainstorm a little about what you’re going to write next, near the end of your break especially, but if it’s your main focus, there’s no benefit to the break. We’re almost to the end of this post! This one is certainly laid out differently than the rest, hm? Well, let’s recap! When you step away from your project to focus your time on other productive activities, you’re giving your mind a chance to recharge. The brain of a focused writer (sounds like an oxymoron, doesn’t it?) is a weary one. By taking occasional, one to three week breaks before you burn out, you’re helping yourself stay more productive and happy in your writing! And once you return after that time, you’ll be overflowing with new ideas, and those difficult scenes will come to you with ease. Not only that, but you’ll have a fresh perspective on what you’ve already written, which is exactly what you need when editing. In addition to these benefits related to your writing, you will have chances to do other things you love, and to spend time with real people instead of characters. Would you believe taking breaks could actually up your productivity? How do you normally handle writer’s block, or burnout? Talk to me in the comments! Happy writing!